“Hey wouldn’t it be neat if we made a different IPA every month?” That offhand remark got the ball rolling for us in 2014, on one of our most ambitious undertakings ever – our IPA of the Month program. Brewed every month in small batches at the brewpub, these beers became a labor of love for our head brewer’s always-innovative style and recipe skill. The logistics of brewing the beer and creating the labels each month was a herculean task; but we brewed four times as much December as we did January, so at some point they apparently caught on. And we had close to 4,000 monthly name submissions from you over the year for our lovely label models. Also late in 2013, we told you that if you got us to 15,000 likes by the end of January, we’d bottle our Jade IPA. You got us there by January 10! True to our word, Jade went into bottles for the first time on January 28. We still have Bottle #1 that rolled off the line; it will no doubt occupy a place of prominence in our new tap room. In February – we relaunched our website, and hey! we started this blog. Which has been seen by almost 50,000 eyeballs since then. Oh and we also did that chocolate beer thingy we do every year. In March we celebrated the 9th Anniversary of opening our doors – not surprisingly we drank a beer. Or two. In April we celebrated NC Beer Month and went to the Craft Brewer’s Conference in Denver – but the most significant news came when we announced that we were expanding again, adding four 300-barrel fermenters, along with a new whirlpool, cold liquor tank and 400-barrel bright tank. Cha-ching. 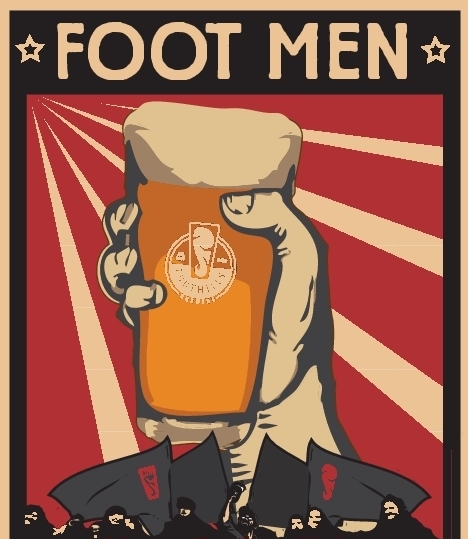 May saw us introduce a brand new beer initiative, our Footmen Series, when we challenged our brewers to come up with some un-Foothills-like recipes and brew them. So far we’ve had a Schwarzbier, a Berliner Weisse, and an Imperial Smoked Cherry Porter in this delicious series, with a Munich Dunkel on the way. 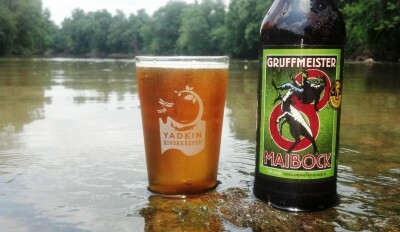 June gave us a chance to support a group that’s close to our heart – we paddled a leg of the Tour de Yadkin with our Yadkin Riverkeeper friends; we also pledged proceeds from the sale of both Gruffmeister Maibock and Baltic Porter (which we bottled for only the third time ever) to support YRK’s continuing efforts on behalf of our local waterways. Summertime also gave us our very first Marketing Untern, we’ve had two very worthy additions to the Foothills family in that capacity since then with two more on deck. Oh and all the aforementioned equipment got installed over the summer too. In September we released Bourbon Barrel Sexual Chocolate, news of which gave us our highest one-day blog traffic for the entire year . . . 1400 views in one day. In October we went to the Great American Beer Festival in Denver. Can’t tell you what happened there. It’s kinda like Vegas that way. 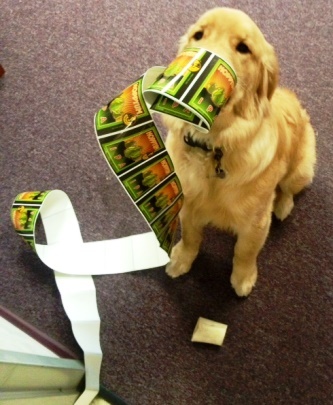 In November we happened upon the notion of using your dogs on our labels, and had a contest to crowd-source our next IPA of the Month subjects. What we thought would be a moderately successful response became almost 1,400 entries (which we’re still sorting through – be patient). 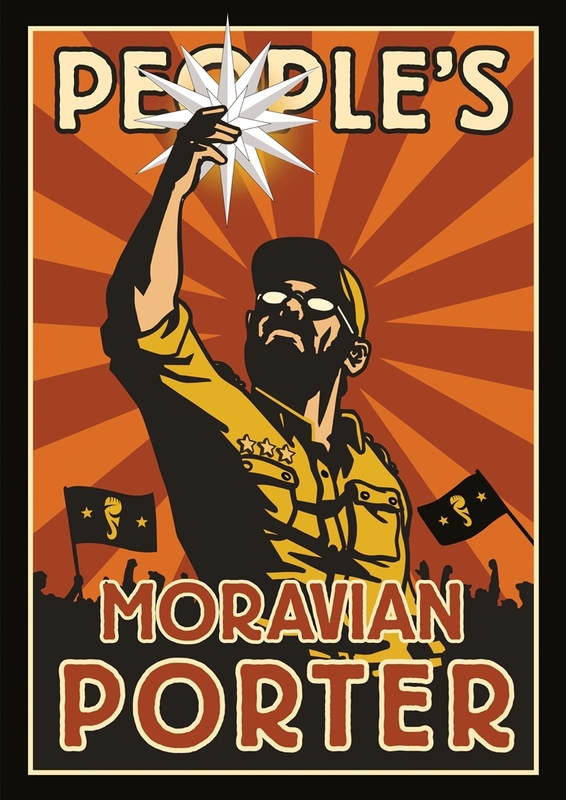 We also dabbled in the holiday beer craze with our first-ever batch of Moravian Porter – which, while only available at the pub, sold out in less than two weeks. We know what to put in your stockings next year. So here’s to 2014 – a great year, thanks (as always) to you, our thirsty friends. Expect more greatness in 2015 – after all, we have a 10-year anniversary to celebrate!